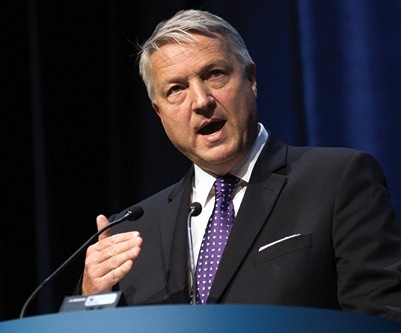 President and CEO, Jamie Sokalsky, at Barrick’s annual general meeting in Toronto on April 24. Canada’s Barrick Gold’s (TSX, NYSE:ABX), the world’s largest bullion producer, has decided to eliminate some of its regional managers in an effort to both oversee operations at the head office and improve performance. According to the company’s CEO, Jamie Sokalsky, the restructuring will help the firm cut complexity and focus on generating long-term efficiency as well as lower costs, reported Sunday FT.com (subs. required). “This structure ensures that our mining leaders are able to focus their full attention on achieving the best possible operational results,” Sokalsky said in a memo to its employees, reported FT.com. The news comes on the heels of a report last week that revealed shareholders and investors are pressing harder than ever for a swift change in the board, which would include bidding farewell to the company’s founder Peter Munk. 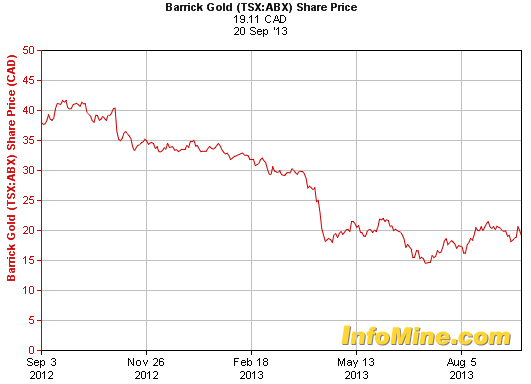 As most gold miners, Barrick has been hit hard by weak commodity prices and increasing mine costs. During the past few months, it has cut its head count and postponed projects. It has also reduced its dividend as the price of gold has collapsed. Being the most debt-heavy company in the gold sector, however, has meant for Barrick to be among those that have lost the most due to waning bullion prices. “The company has never been known for managing its cash or resources well or, for that matter, being investor friendly,” writes Steve McDonald, bond strategist for The Oxford Club. “It has a history of being too aggressive in its growth efforts and having too many underperforming assets that are too spread out,” he adds.